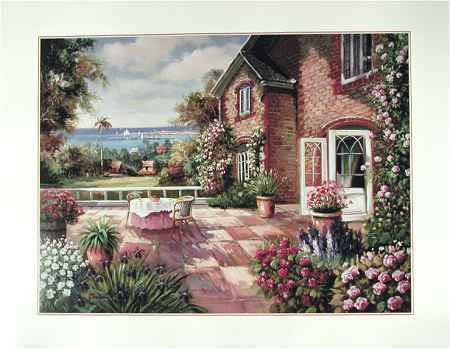 Charming scene of a large terrace with a small cafe table. The harbor is visible in the distance. Flowers abound in the foreground.